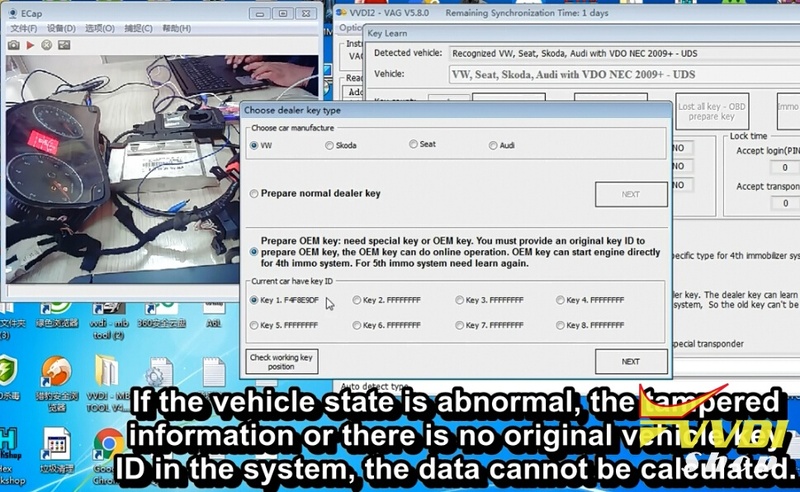 When we cannot read immo data from OBD using OBD device, we cannot continue making new keys. 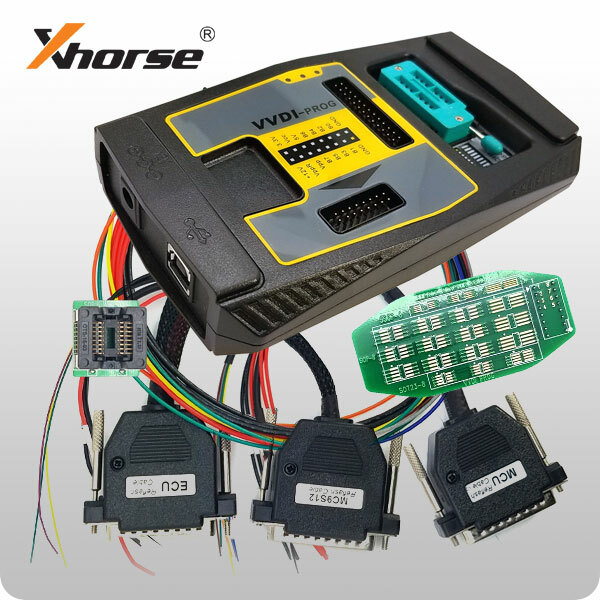 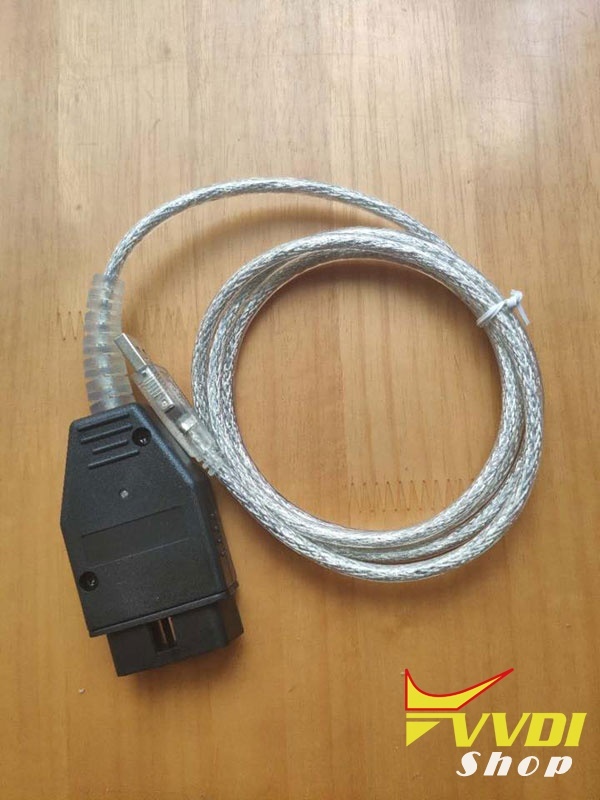 With VAG OBD Helper cable, you can obtain immo data easily via OBD, especially VAG 4th immobilizer system (NEC24C32 NEC24C64, NEC35XX, Johnson MQB A4, A5 etc BCM), both add key and all keys lost. 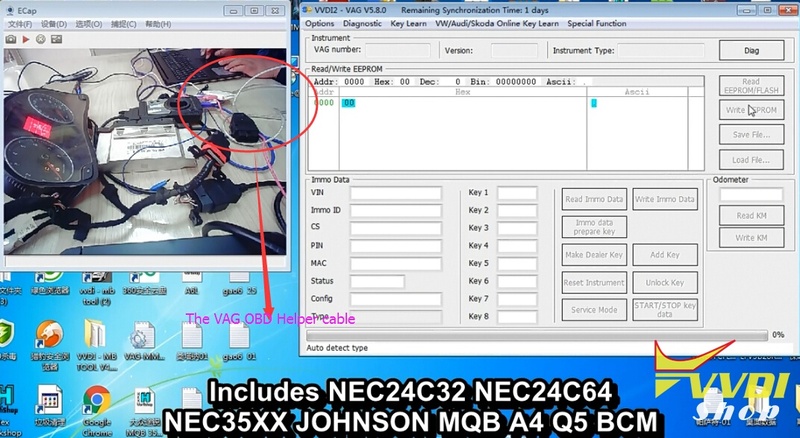 Here’s the test equipment, so we disassemble the instrument. 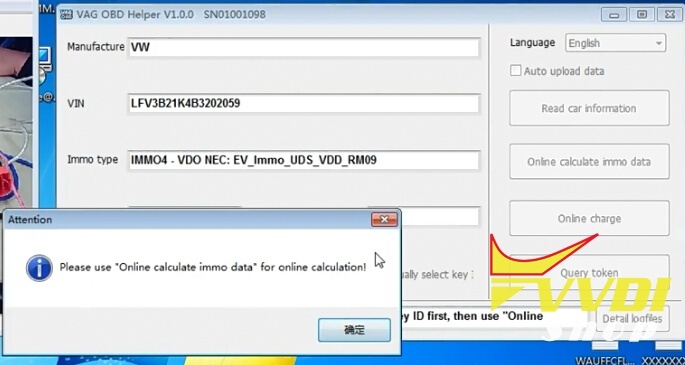 Enable network connection and upload data to calculate. 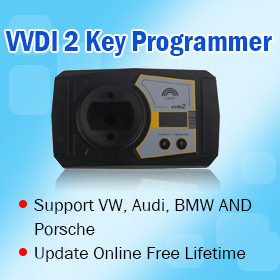 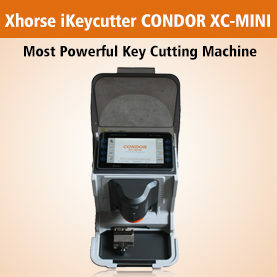 You can prepare new dealer key and learn key with this immo data in other OBD device. 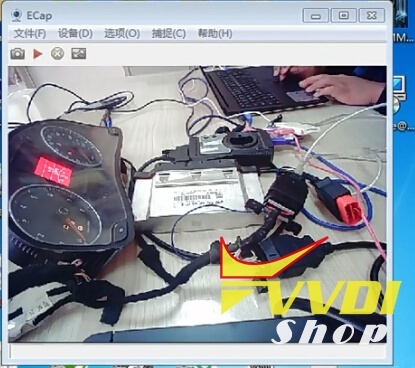 the data cannot be calculated. 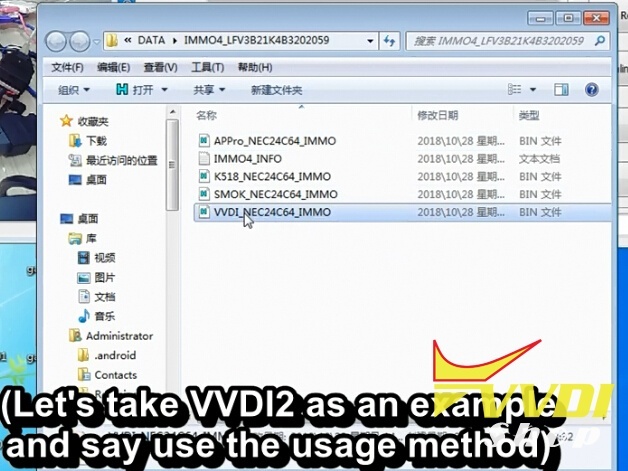 Input exist working key to VVDI2. 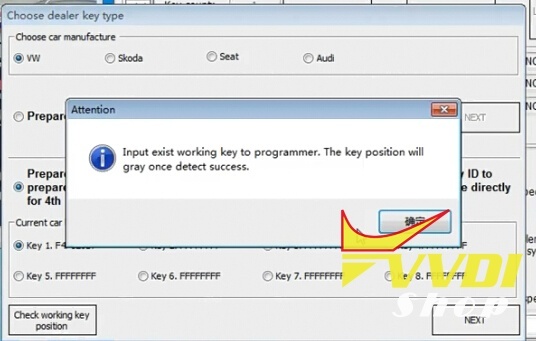 The key position will turn gray once detect success. 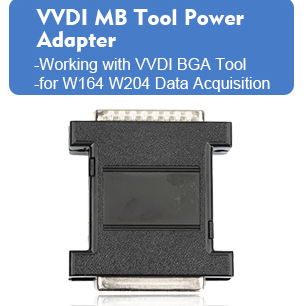 Follow VVDI2 prompts to make key until success. 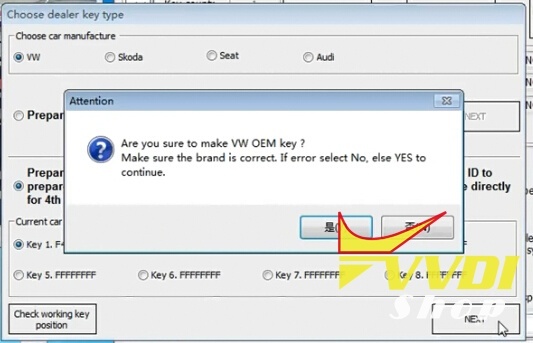 This method can be used for both add key and all keys lost.